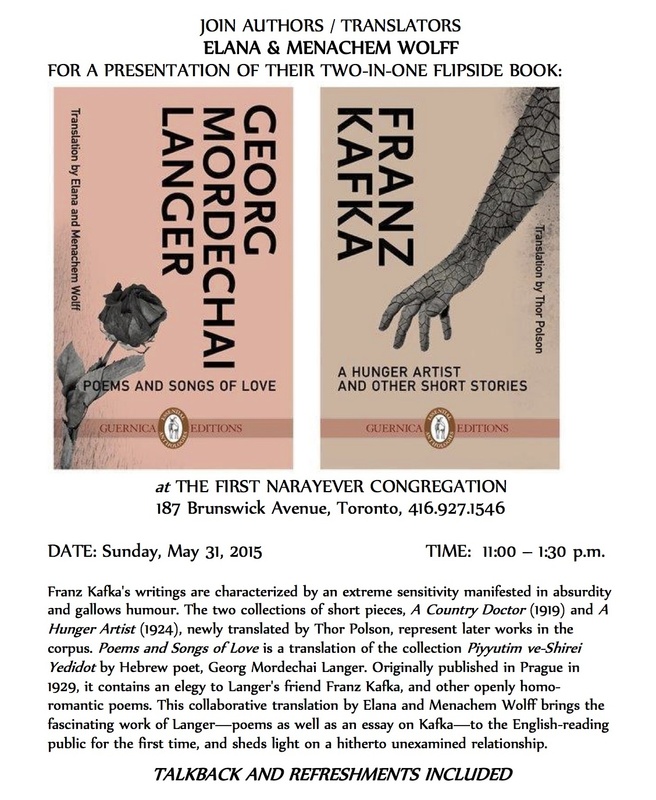 On Sunday, May 31, authors and translators Elana and Menachem Wolff will be giving a presentation of their two-in-one flip side book: A Hunger Artist and Other Stories; Poems and Songs of Love. The presentation will take place from 11 am-1:30 pm at the historic Narayever synagogue in Toronto. Franz Kafka’s writings are characterized by an extreme sensitivity manifested in absurdity, alienation, and gallows humor. These two particular collections of short pieces, A Country Doctor (1919) and A Hunger Artist (1924), newly translated by Thor Polson, represent later works in the corpus. Poems and Songs of Love is a translation of the collection Piyyutim ve-Shirei Yedidot by Georg Mordechai Langer translated from the original Hebrew. Published in Prague in 1929, it contains an elegy to Langer’s friend and mentor Franz Kafka, and other openly homo-romantic poems. This collaborative translation by Elana and Menachem Wolff brings the fascinating work of Langer–poems as well as an essay on Kafka–to the English-reading public for the first time, and sheds light on a hitherto unexamined relationship. 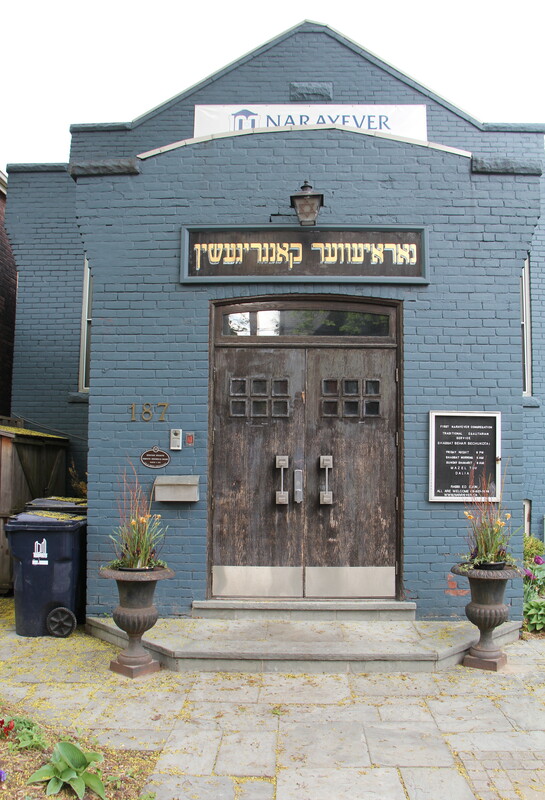 The First Narayever Congregation is located at 187 Brunswick Avenue in Toronto. All are invited. Talkback session and refreshments included. Tagged with Elana Wolff, Menachem Wolff, Narayever Synagogue, Presentation.